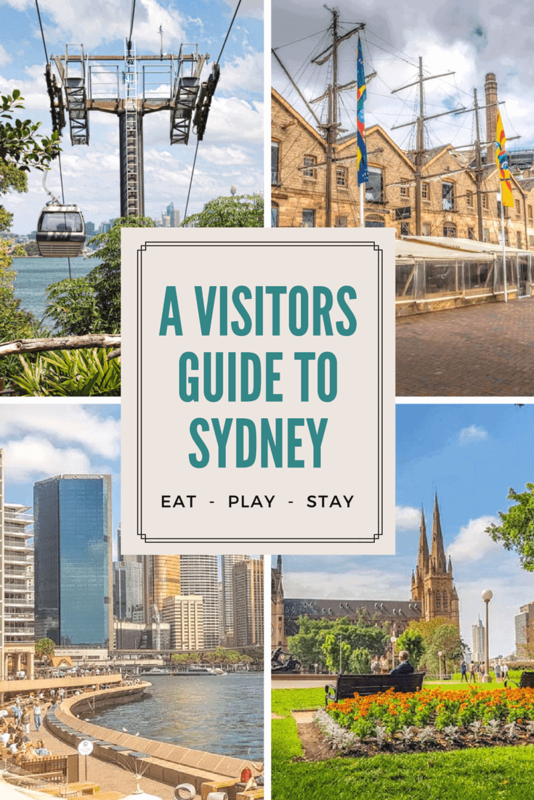 In this travel guide we’ll cover the best things to do in Sydney, how to get around, nearby day trips out of the city and where to eat, stay and play. Australia’s oldest city is built on the harbour offering wonderful views, a fascinating history and a thriving foodie culture. There are options here to suit everyone. Sydney is Australia’s largest city and the capital of New South Wales. It was settled in 1788 when the convict ships started arriving from England and you will see remnants of the history from this era as you walk around. Today it’s a beautiful and thriving metropolitan harbour city, a popular destination for both international and Australian travellers. For first time visitors to Australia it makes up part of the popular ‘golden triangle’ route, arriving and departing from Sydney with a few days in the desert at Uluru in the Red Centre and a reef and rain forest experience in Tropical North Queensland. It’s an ideal starting point for your Aussie adventure with beautiful nearby beaches, mountains and wine country or plan a short a city break. There’s no shortage of fun things to do and great places to eat! 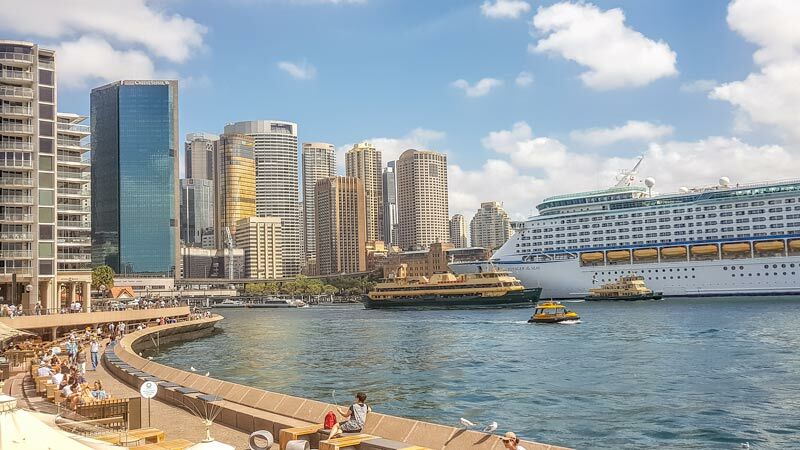 A destination that all first time visitors to the city will want to see is Circular Quay. This entertainment precinct houses the iconic Sydney Opera House, the cruise ship port and is the main terminal for Sydney’s active ferry network. There are a huge range of restaurants, bars and cafes around the harbor, many with exceptional and well deserved reputations for great food. Circular Quay is a great place to wander around by day or night and during the citys many festivals and events it’s a hub of activity. Heading to the left of Circular Quay you’ll pass the First Fleet Park and cruise ship terminal as you enter the area known at The Rocks. The area was one of the first formed when the colony was established in 1788 and is still home to some of the country’s oldest pubs. Once a notorious slum it’s now the location of many fine dining restaurants and offers views of both the Sydney Opera house and Harbour bridge. 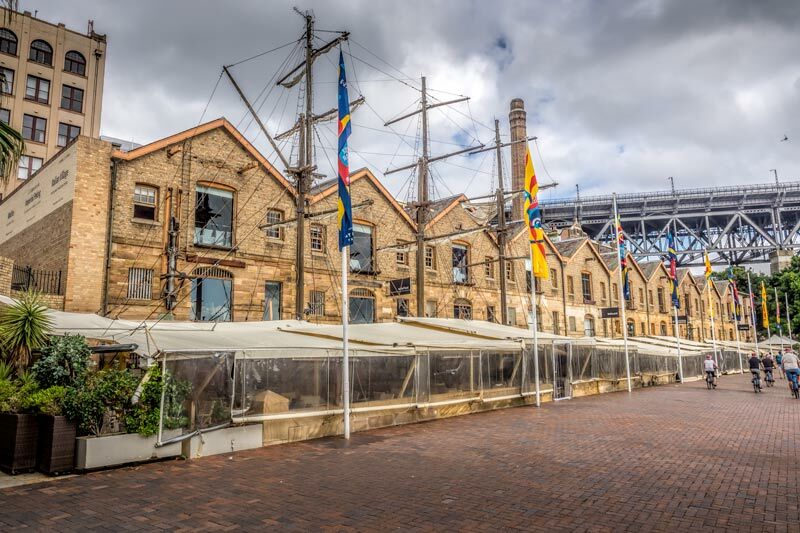 As you wander the narrow laneways watch out for glimpses of history preserved such as beneath the YHA and schedule time for a stop at the Rocks Discovery Museum, it’s free, interactive and will provide insights into history from pre-settlement to modern day. Continuing along the waters edge will bring you to Darling Harbour and the Darling Harbour Precinct. This is a popular place to stay, has a great selection of restaurants and cafes and several tours and cruises leave from the wharfs along here. Darling harbour is also a major site for any events and festivals in the city, parks and the Chinese Friendship garden. Looking for a day out of the city then Sydney Taronga Zoo is a great choice. Travelling over by ferry is not only convenient but you’ll have the bonus of fabulous water views back at the skyline and iconic Sydney Opera House. It’s a well run zoo with the highest priority on animal welfare and contribution to wildlife conservation. For the visitor the site also has multi million dollar views across the harbour back towards the city. It’s a large zoo built into the hillside. This makes it worth planning out your route or your calves are going to get a real workout with all the up and down, you’ll get a map and schedule at the entry so it only takes a few minutes to do. There are feeding shows, keeper talks and displays throughout the day and the free flight bird show was well worth fitting into the plan. Also not to be missed at some time during the day is a trip back up from the bottom of the hill to the top on the rope-way, very relaxing, saves the burn and again those views are not to be missed. 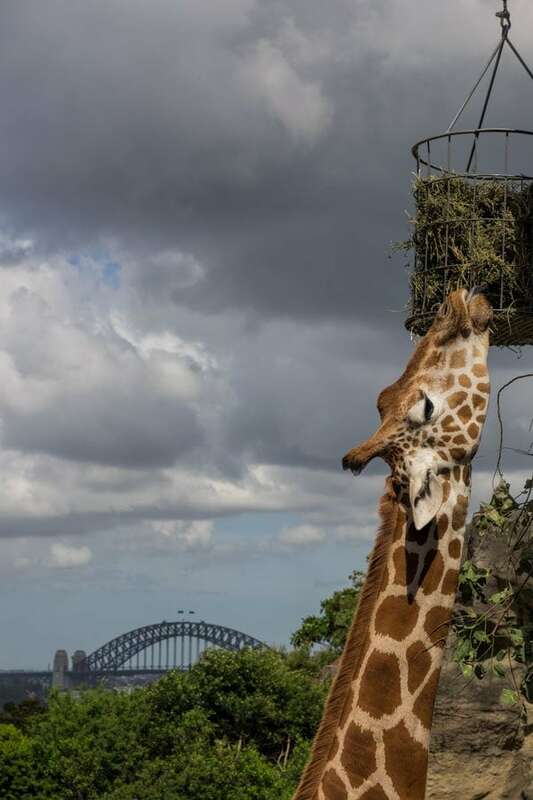 Read more: Planning your day at Sydney’s Taronga Zoo. Sydney is a city built on the harbour and has a public transport system including ferries that are ideal for exploring the beaches along its coast line. One of these that has plenty to offer the visitor is Manly. It’s about 30 minutes on the ferry which on a sunny day is a gorgeous trip with great views. It’s a popular beach for swimming and surfing, hiring a bike or taking a walk around the coastline to sheltered marine reserve of Shelly Bay where snorkellers and divers can see a variety of marine life in relatively shallow depths. Althernatively grab a seat at one of the excellent cafes along the waterfront, grab some lunch and a cold one and watch the world go by. Sydney is an historic city, the first settled by the convict fleets from England in 1788 but the history goes back so much further than that with one of the worlds most ancient civilisations. Without a source of fresh water Cockatoo island was never settled by indigenous Australians but it was a fishing ground and may also have been a source of trees for boats. It’s maritime history continued in WWII, as a navy ship building site and currently for commercial boat building businesses. 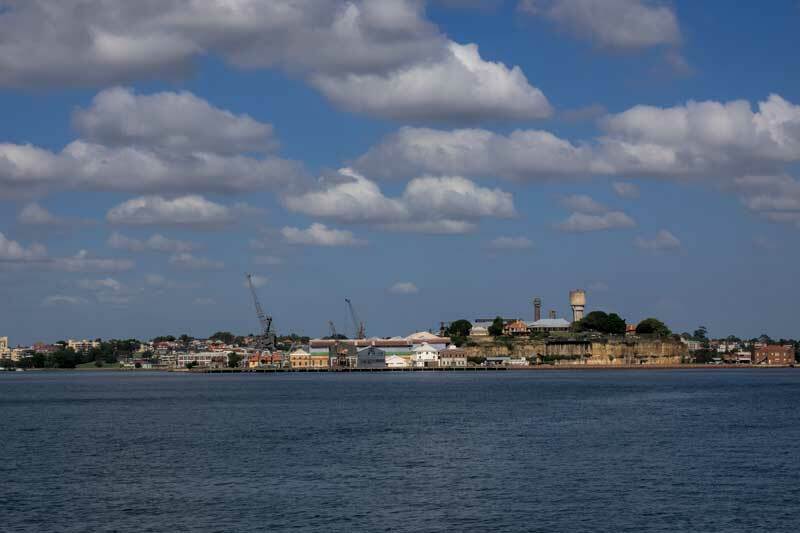 Cockatoo Island is also a UNESCO World Heritage Site, preserved as one of the Australian Convict Sites. There are remains of the old prison and associated buildings remaining on the island that you can wander through. You can also camp out here or stay in one of the cottages on the little island. Sydney is a city built on one of the worlds most beautiful harbours, there are so many beaches, coves and small islands to explore. You really haven’t seen Sydney until you’ve seen it from the water. There are many ways to cruise the Sydney harbour. The most cost effective is to jump on one of the many commuter ferries. 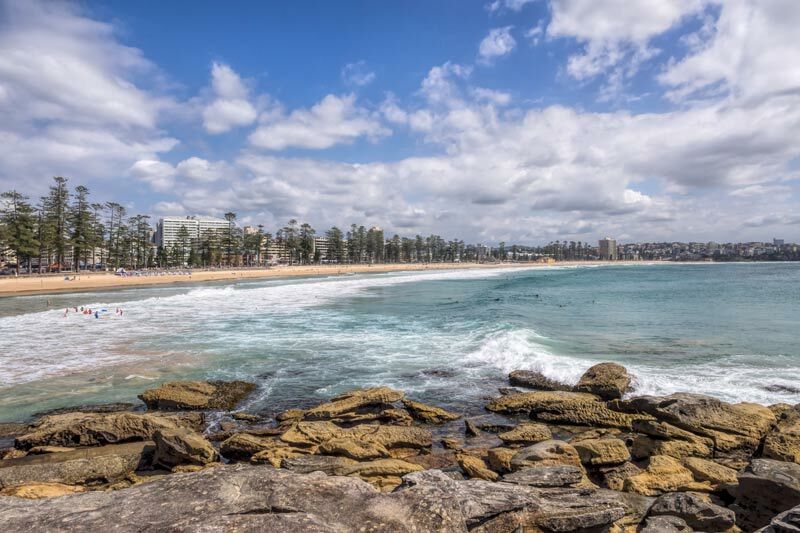 There are plenty of options of where you might want to head off to including some we’ve mentioned above such as Manly and Cockatoo Island. Alternatively you might just want to head up the river or cross to the north shore, perhaps to see Luna Park or the zoo. 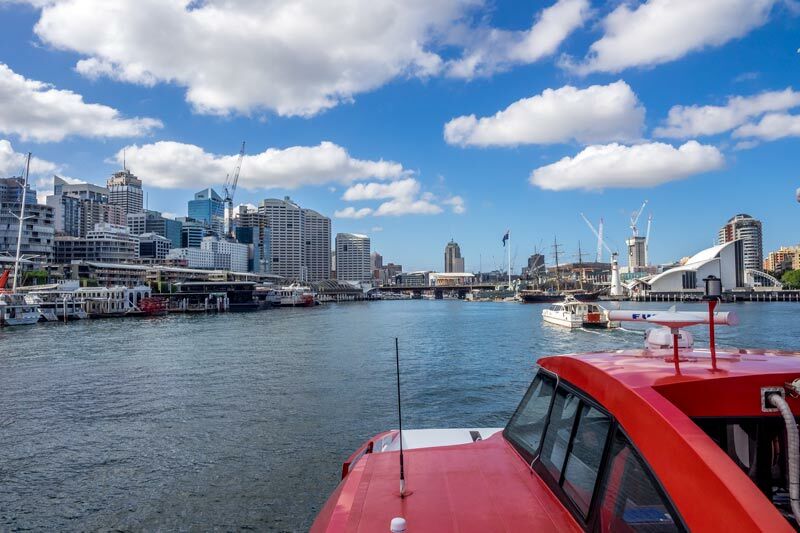 The city ferries are an efficient and cost effective way of getting from A to B on the water and we’ve previously written about how to get the best value from the Sydney public transport system. Another option we like for time on the water and seeing plenty of the city as you do is to get the hop on hop off cruise pass. 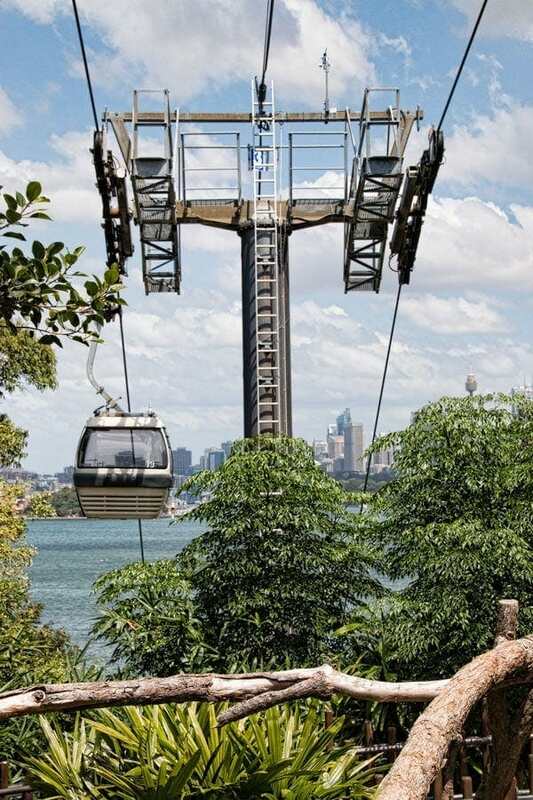 The comfortable catermeran stops at Darling Harbour, Circular Quay, the zoo, Watson Bay, Manly, Luna Park, Fort Dennison, Shark and Garden Islands. The Sydney Botanic Garden have a prime position in the central city and runs from the Art gallery on the domain right down to and around the waterfront. It’s a true green oasis and and a popular spot for exercise and picnics. There are some gorgeous garden displays, horticultural collections, you can do a garden tour with the volunteer guides, indigenous walk or relax in a cafe at the Calyx. At 74 acres it’s a generous sized space that was once Australias first farm established by settlers in 1788. Governor Macquarie established the gardens on the site in 1816 as part of the Governors domain. 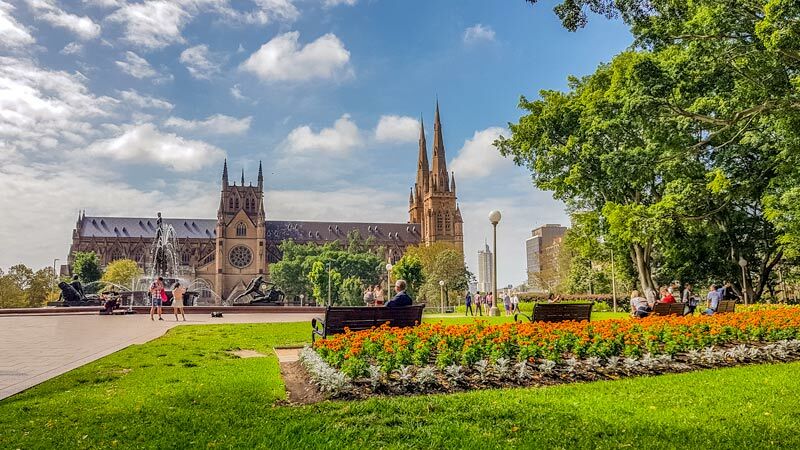 This 40 acre park in central Sydney is Australia’s oldest public park established by Governor Macquarie in 1810 and named after the original Hyde Park in London. It stretches from the Anzac memorial and pool of reflection to Archibald fountain and St Mary’s cathedral. 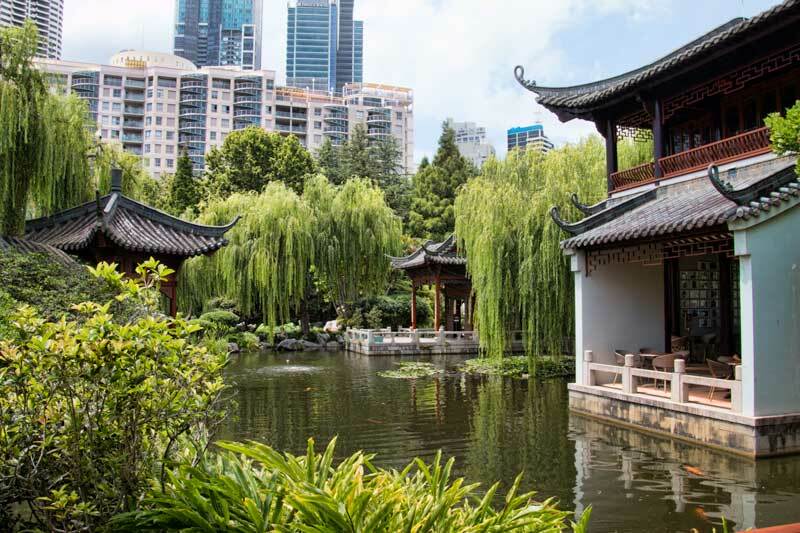 Located in a busy part of the city adjacent to Chinatown and within the Darling Harbour precinct you’ll find the Chinese Friendship Gardens. It’s an incredible peaceful space where you can feel like you are miles away from city life for a few minutes or a few hours. The gardens are beautifully designed and maintained and I’d highly recommend one of the traditional Chinese teas overlooking the pond, although if coffee is more to your taste that’s an option too. 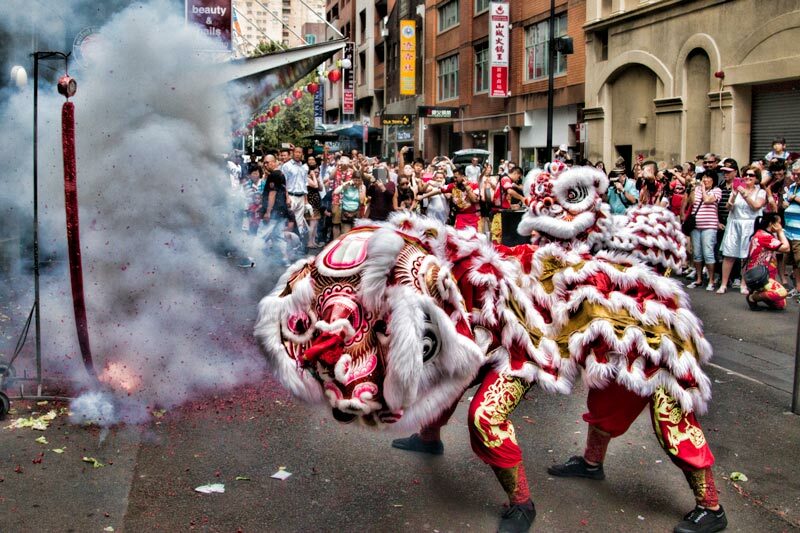 Sydney has a vibrant and active Chinatown with a great selection of shops and restaurants. While this is an essential stop during the CNY celebrations it should equally be part of your itinerary at other times of year too. Lets be real you can never have too many dumplings or peruse too many Yum Cha trolleys but there is so much more to this diverse part of town. Located adjacent to the northern end of the Darling Harbour precinct it’s easy to find and conveniently located. As the first settlement in Australia Sydney has a rich history to explore. Whether you choose to wander the city uncharted visiting areas such as The Rocks, Millers Point, Circular Quay and Chinatown, join a tour or follow a self-guided heritage walking tour map such as the ones provided by the City you’ll find plenty of information and interest from colonial times and Australias indigenous history. 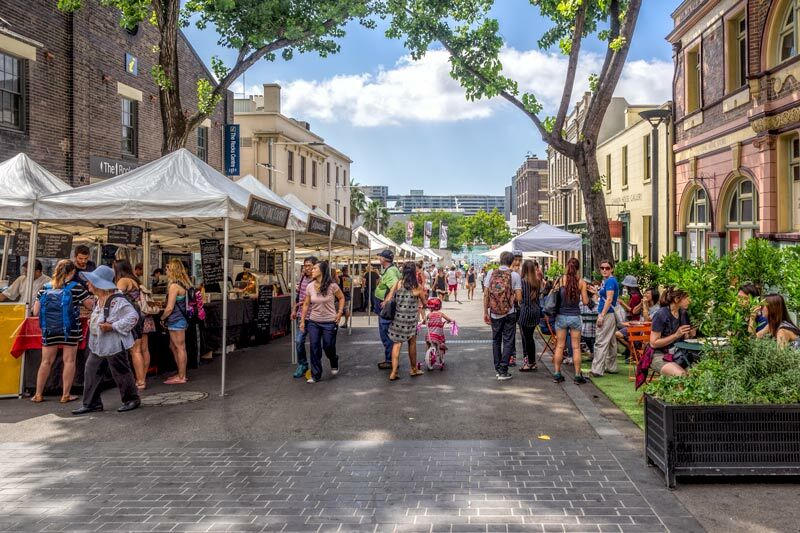 The Rocks Friday Foodie Markets, not a big market but quality and choice are excellent, put this one on your holiday must go list. Chinatown night makets are also on a Friday from 4pm. Take your taste buds on a stroll along the 60+ stalls under the lanterns and try out the various specialties from across Asia, you won’t regret it. 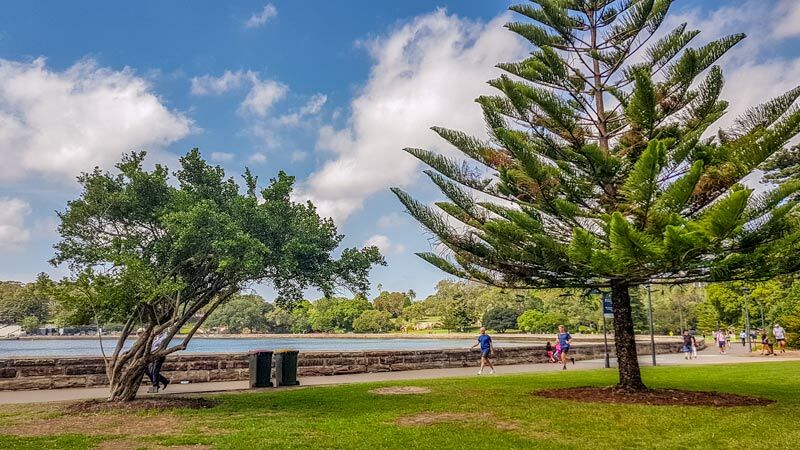 For something different on the weekend take the ferry out of the city to Manly for the arts and craft market or to the Balmain markets located in the grounds of historic St Andrews Congregational Church. The Sydney Fish Market is one of the largest in the world. From the auctions and wet fish market to restaurants, a seafood school and site tours it all happens out here. I have my eye on the new Boutique Brunch Tour next time I have a morning free in Sydney. Having eaten my way through some excellent seafood in Japans seafood markets including Tokyo’s Tsukiji Market, Nishiki market in Kyoto, Kuramon market in Osaka, Hakodate Market up in Hokkaido and Omi-Cho in Kanazawa it’s time I had a closer look locally and I do love our Aussie seafood. Paddys market dates back to 1834, located near Chinatown it’s now best known for souvenirs and bric-a-brac but you’ll still find a few fruit and vege bargains. 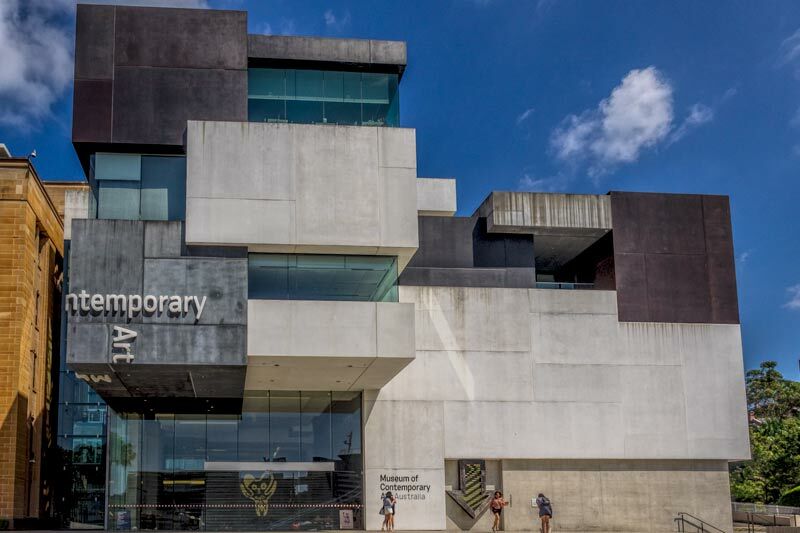 The Museum of Contemporary Art is located in the Rocks and curates pieces by current artists. Entry to the first 2 floors is free and there are free guided tours you can join. Visiting or special exhibitions may be at extra cost. There’s an open rooftop space with great harbor and opera house views and a cafe up there to enjoy them. The Australian Museum was Australias first museum established in 1827 and houses an excellent collection for both indigenous studies and natural history, going beyond the artifacts and delving into the culture. The dinosaur and mammoth exhibits are also major drawcards. It’s located opposite Hyde Park on College Street, and public transport access is easy using Museum station. Again the cafe is located up on top to enjoy the view of city and harbor. Well worth a visit but my personal suggestion would be to avoid school holidays if you can. The Art Gallery of New South Wales houses a diverse art collection from Australia and around the world. It ranges from renaissance paintings to modern art and probably does have something for everyone in the striking heritage building. The first exhibition here was in 1874 so they do have some experience in currating a collection! You’ll find the gallery in the domain up behind the Botanic Gardens. We highly recommend staying in the CBD when in Sydney, it’s super convenient to get around and there’s so much to see right in the city centre within walking distance. There’s a variety of accommodation including high end international hotels, business hotels, apartments and backpacker accommodation. We’ve stayed in a few different parts of the city over the years and because you’re likely to want to visit a number of different areas it’s worth considering your options. Australian accommodation isn’t cheap but shop around and you can get some good deals. We use Booking.com for Sydney hotels, we find they have good variety, competitive prices and most properties have the flexibility of free cancellation which I like in case plans change. The most in-demand area to stay in Sydney would be Circular Quay. There are so many fabulous place to eat and drink, the Opera house is here, you’ll get a great perspective on the Sydney Harbour Bridge and an easy walk to the historic and foodie destination that is The Rocks. The ferries all go from Circular Quay too so if you plan to spend a bit of time on the harbour or use it as a means to getting to a number of places it’s worth considering. You do of course pay for the popularity and convenience of the location, so you’ll get less for your budget. 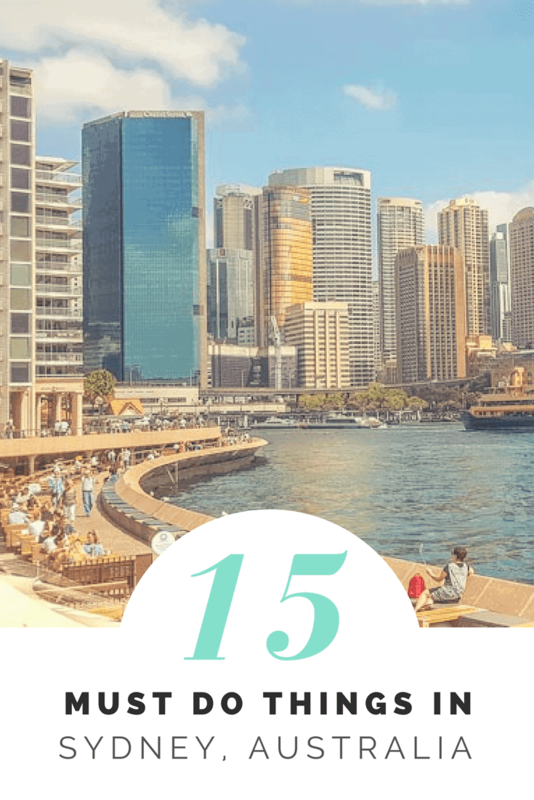 We’ve enjoyed staying in Circular Quay and would definitely base there again when we find a deal that tempts us. It’s also a good choice if you only have a night or two and want to be right in the middle of everything. There’s a lot of choice in this part of the city, we stayed at the iconic Intercontinental Sydney, located in the heritage Treasury building. It’s a stunning property, a great location and perfect if you’re looking for a bit of indulgence. Check the current price for the Intercontinental Sydney. 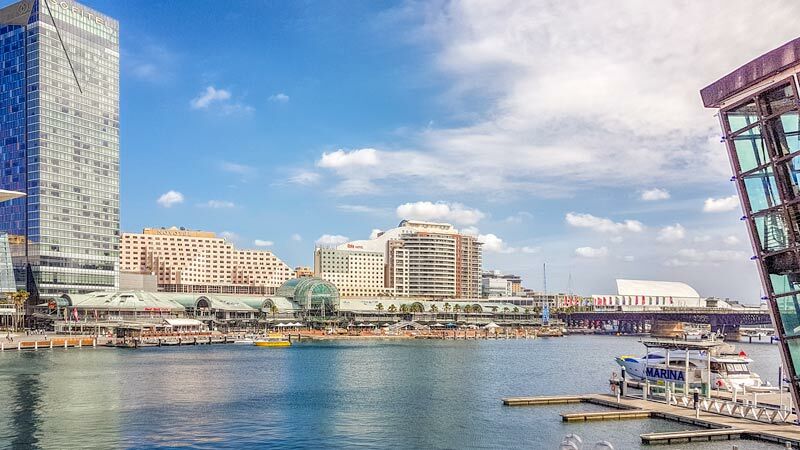 This is another great location with a number of activities, tourist attractions, restaurants, bars and shopping is Darling Harbour. We usually find that there’s slightly better value pricing around here. There’s also a number of apartment hotel options which we like to book if we’re staying a while, it gives more space to relax and the opportunity to self cater some meals if we choose too, although with so much choice we generally don’t. A couple we’ve stayed at in the Darling Harbour vicinity are the Meriton Kent Street and Seasons Harbour Plaza. Arriving in Sydney by air you have a number of options to the city either from the International or Domestic terminals. Taxi’s are readily available and will cost around $40 into the central city, you can also hire a rental car from a variety of providers including Avis, our usual choice in Australia. Be aware if you are staying in city hotels that car parking is limited and almost always an additional cost. We find the best option though when staying in the central city is the train service, it’s clean, quick and efficient. Due to the airport levies this line is more expensive than other train fares but at around $16 it’s a stress free and a good value option. We enjoy exploring the inner city on foot but if you end up a bit too far from your end point then it’s easy to hail a cab or hop a couple of stations on the train. I’ve written before about the Opal card for using Sydneys bus, train and ferry network and how to get the best deals from it. I highly recommend picking one up, it’s a stored value card that you can easily top up at a station when you need to or set up an auto top-up if you’re a regular visitor. It’s not the worst city to drive in but if you are staying in the city centre you really don’t need a car for many of the main attractions and driving, or at least trying to park, may be a lot more effort than it’s worth. I have always wanted to visit Sydney. The contemporary art museum looks amazing. Great list of things to do!